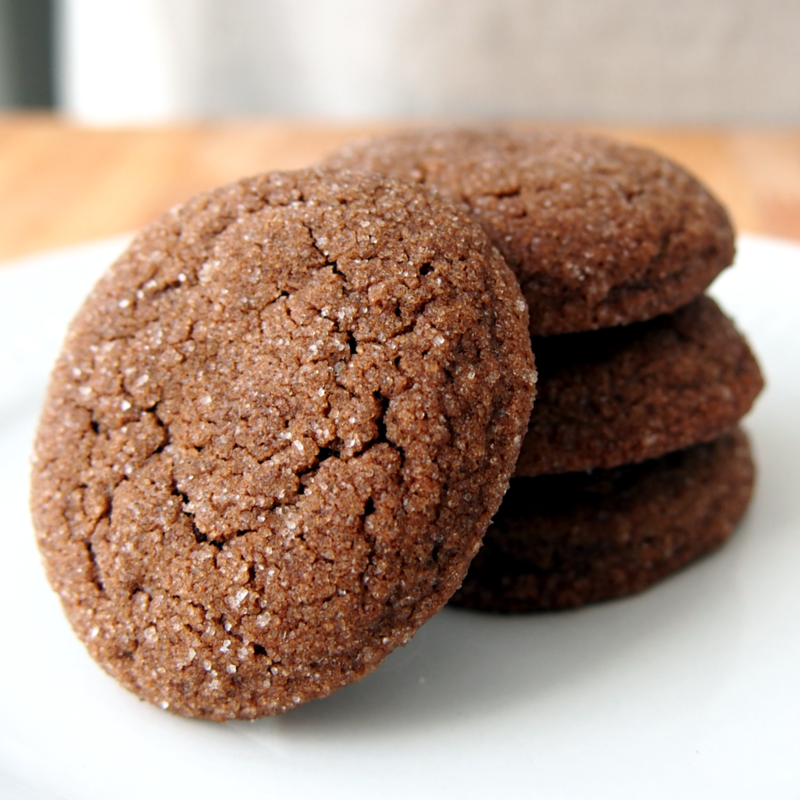 Soft ginger molasses cookies are a fairly recent addition to my Christmas baking list. They make a fluffy, tasty, and soft ginger cookie. I’ve now made these a couple years in a row and made a just a couple adjustments this year (adding cocoa) to kick them up just a bit more. As a side note, I have made these into a dairy-friendly recipe for a friend by using vegan Becel and they turned out just fine! Combine the flour, spices, and baking soda. Gradually add to the creamed mixture and mix well. Use a tablespoon as a scoop and roll portion into a ball, then roll in sugar. Bake at 350°F for 10-13 minutes or until puffy and lightly browned. Let cool on baking sheet for a few minutes then gently move to wire racks to finish cooling. I fit 20 balls to a cookie sheet and it produced 40 cookies.